MSGM kids spring summer 2016 colourful geometric print, perfect for Milan Design Week. While the 55th edition of the Salone del Mobile Milano is officially underway, and around a packed Milan the Fuori salone events are succeeding one to another, here on the blog we continue to explore the line characterized by geometric prints. For this post, we’ve selected the multicolour abstract pattern brought by MSGM kids for this spring summer 2016. Inspired by the adult line (see also here) this print is characterized by a cheerful combination of bright shades with a prevailing of orange, one of the trendiest colours of this season. A print that takes shape on comfortable clothes: lighter on the shiny silk of sophisticated dresses and jumpsuits, bolder on soft cotton jackets, sweatshirts, t-shirts and leggings, and on durable leather of cosy shoes. 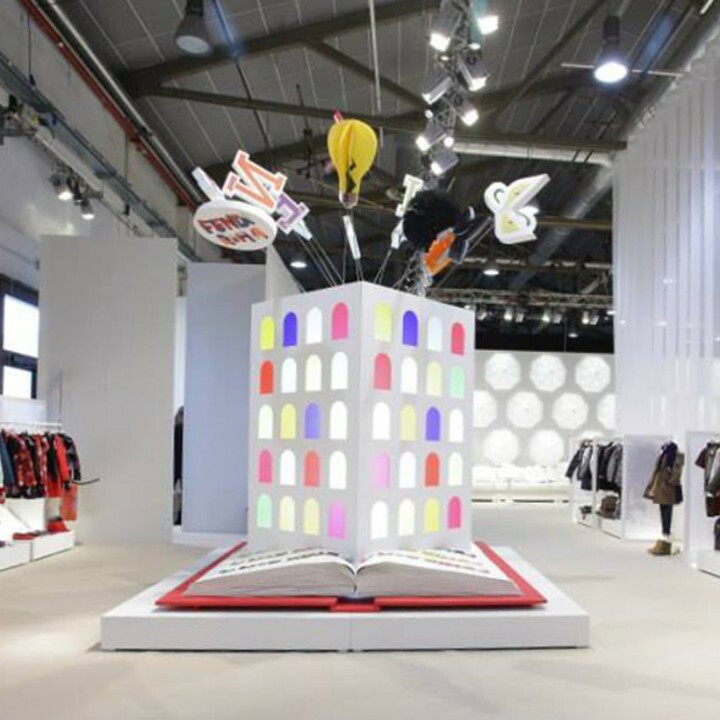 Mentre la 55esima edizione del Salone del Mobile di Milano é ufficialmente in corso, e in una Milano invasa dai visitatori gli eventi del fuori salone si susseguendo incessantemente uno dopo l’altro, qui sul blog continuiamo ad esplorare le linee caratterizzate dalle stampe geometriche. 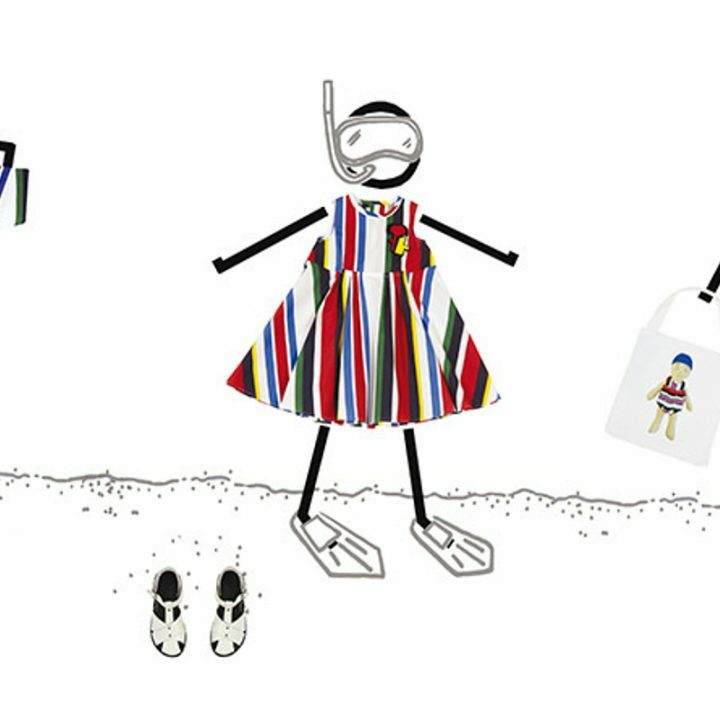 Per questo post, abbiamo scelto il motivo astratto e multicolore che viene proposto da MSGM kids per questa primavera estate 2016. Ispirata alla linea per adulti (vedi anche qui), questa stampa è caratterizzata da una allego caleidoscopio di tinte vivaci, con una moderata prevalenza dell’arancione, uno dei colori più di tendenza per questa stagione. Una stampa che prende forma su comodi capi, dalle linee morbide: più leggera sulla lucida seta dei sofisticati abiti e delle tutine, più marcata sulle giacche in morbido cotone, sulle felpe, le t-shirt e i leggings, e sul resistente cuoio delle comode scarpine. MSGM kids spring summer 2016 - MSGM kids advertising campaign featuring the beautiful italian model Chiara. Photo from MSGM kids. 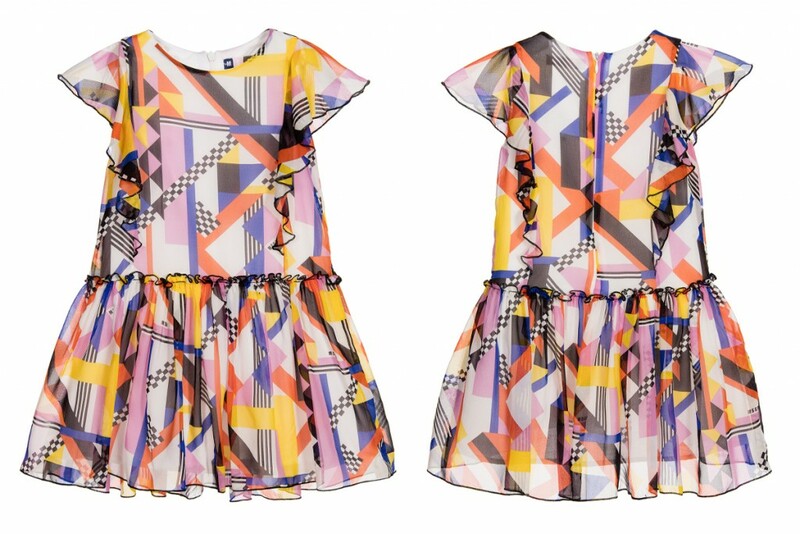 MSGM kids spring summer 2016 - Short sleeves silk dress with multicolor geometric print. Photo from Childrensalon elaborated by Fannice Kids Fashion. MSGM kids spring summer 2016 - Another picture taken from MSGM kids advertising campaign for this season. Photo from MSGM kids. MSGM kids spring summer 2016 - More from this season MSGM kids advertising. Photo from MSGM kids. 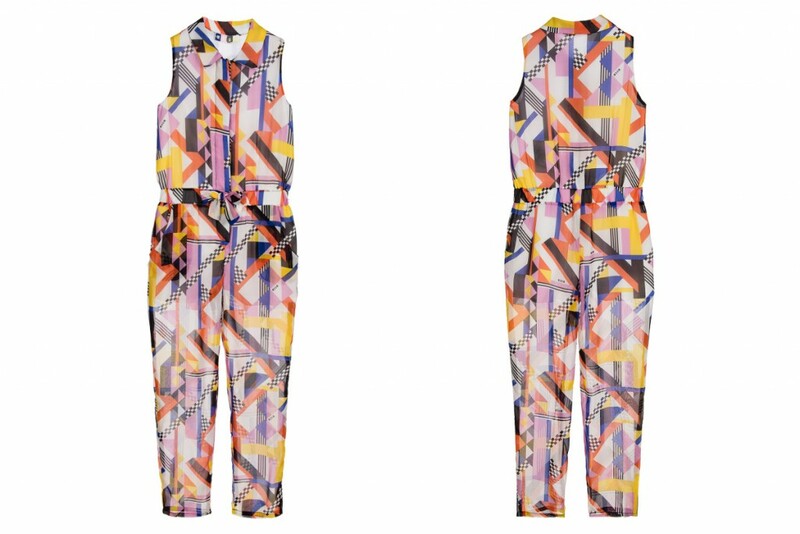 MSGM kids spring summer 2016 - Sleeveless silk jumpsuit with multicolor geometric print. Photo from Childrensalon elaborated by Fannice Kids Fashion. MSGM kids spring summer 2016 - Advertising campaign for this season featuring the line characterised by a colourful geometric print. Photo from MSGM kids. MSGM kids spring summer 2016 - Advertising campaign for spring summer 2016 collection. Photo from MSGM kids. 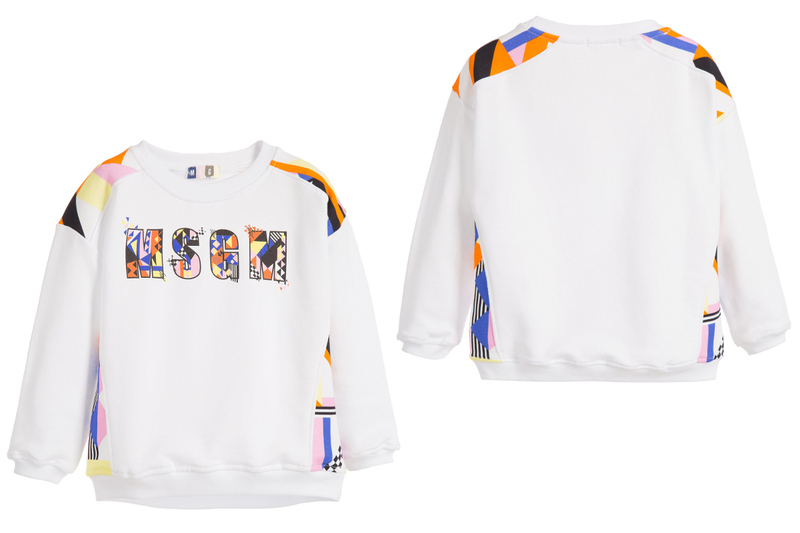 MSGM kids spring summer 2016 - White sweater with geometric print on the shoulders and on the MSGM logo on the front. Photo from Childrensalon elaborated by Fannice Kids Fashion. MSGM kids spring summer 2016 - Advertising campaign featuring white garments with the geometric print on details and on the shoes. Photo from MSGM kids. 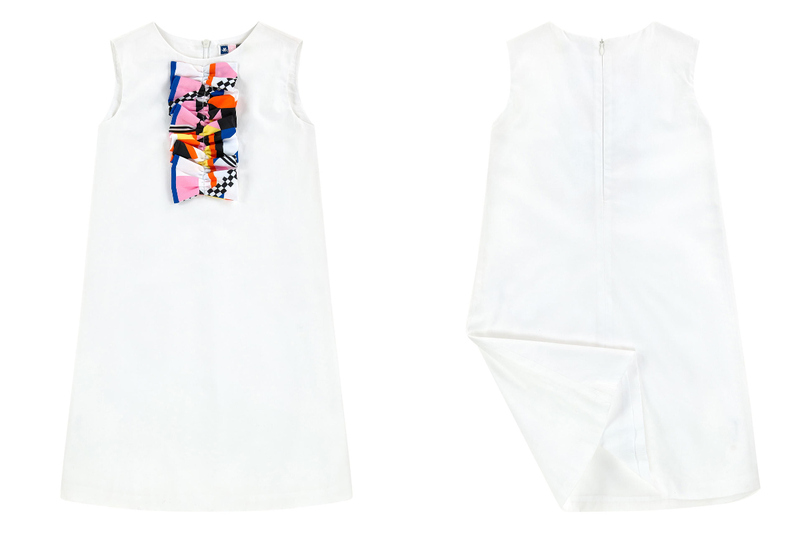 MSGM kids spring summer 2016 - Sleeveless white dress with geometric print on the ruffle on the front. Photo from Childrensalon elaborated by Fannice Kids Fashion. MSGM kids spring summer 2016 - Advertising campaign where garments with the geometric print are matched with monocromatic items in white or orange. Photo from MSGM kids.